August 1—Mammoth is experiencing a dry, but beautiful, and relatively uncrowded summer. It reminds me of those great summers in the 80’s. As we move into late summer and fall the Mammoth real estate market should begin to reveal itself. For almost a year I have described the market as standoff or stalemate. The interaction between buyers and sellers has come to resemble a dull, heavyweight boxing match where two lumbering opponents stand and make minor gestures at each other with no real punches thrown. 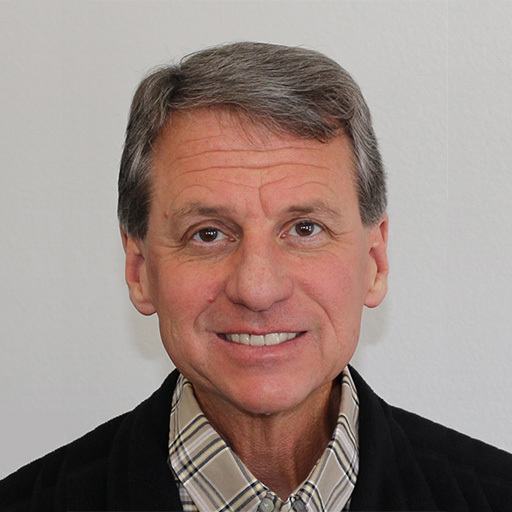 So far, the only apparent damage is to the real estate brokerage community itself, and only a few of them are really paying attention anyway. But my crystal ball says all of that is about to change. A smattering of sellers who continue to drop their asking prices are beginning to really test the bottom of the market. And there is a showing of buyers at these lower levels. We’re also seeing a curious group of existing Mammoth owners looking to move up––and planning to hold on to their current property too. While recently listing a home, my multiple Mammoth property-owning client made an interesting observation. He said, “The sellers have been the real speculators in the Mammoth market in the last year. Most are just listing at high prices to see if somebody comes along to buy.” So like most real estate markets, the speculation game is coming to an end. The sellers are beginning to tire of the debt service and costs, no significant announcements or momentum generators from the “big boys” (as if anybody believes them anymore), and the national media’s continued bashing of real estate. And the complete lack of showings at their properties, let alone an offer from a qualified buyer. And God forbid if they let their listing expire and get a barrage of calls from pesky agents or their assistants. Many sellers are basically giving up hope of landing that one big knockout punch. Meanwhile, there ARE real buyers out there. In this cycle they are clandestinely sitting at their laptops watching the market. Watching the inventory numbers, new pricing, days on market, Notice of Default data, etc. Some are so astute they know the market better than most of the “active” agents in town. And they even know that the agent they’ve been talking to in the past is now boxing groceries in Bishop or has simply moved on to the next land of opportunity (Hawaii, Florida, Mexico). These buyers ARE motivated to buy––they sincerely want a place of their own in this geographic paradise, but they’re waiting for certain sellers to take notice of the correcting market. They’re not waiting for a crash, they’re waiting for some reality and correction. And these buyers aren’t just going to buy anything that comes along, unlike what happened in the earlier part of this decade. And God forbid, they certainly don’t want to buy fractionals. THE news event of the past few weeks has been the purchase of the Hillside property by Roger Staubach and his consortium of equity buddies. I don’t know why I keep hearing the song “Welcome to the Jungle” in my head. Now Staubach was a great NFL quarterback and is a very successful commercial real estate man, but his Navy career doesn’t hint of submarine experience and he’s going to need it because this project has to be so underwater that only hyperinflation is going to make it pencil. Didn’t his analysts pick up on the Rusty Gregory quote that Starwood’s “1” pro formas (development projections of profit and loss) were $9 million to the negative side? So does it make sense to spend $50+ million to buy this land? Have they looked at the glut of non-performing and “for sale” condo hotel units already available in the Village? And just wait until the non-developer owned units at the Westin Monache hit the market. (They are contractually restricted from marketing their units until they actually close escrow.) I’m beginning to think that the existing Village units may devalue to the point that they become affordable as the workforce housing mitigation for the newer projects. (“Wow honey, smells like they have a great Mexican restaurant here in the Village.” “No dear, that’s the people who live next door.”) Maybe the Mammoth Lakes Housing Authority can manage the Village better that Mammoth Hospitality. The other alarming news is the closure of Snowcreek Athletic Club due September 30. Much has already been written about the subject. The Town has declined the opportunity to purchase the Club for public benefit, primarily because the facility is not large enough to serve the entire community. The owner, Linda Dempsey, does own the fourth corner at Main and Minaret (Nevados) and could be courting offers on that land, and needs additional land for housing mitigation as part of the package. Or she could be sending a message to the members that the Club doesn’t generate enough revenue and that a substantial raise in membership fees is required to justify keeping the doors open. I’m sure there’s more to the story. We’ll see. Time reveals all. The Town is reporting lower than budgeted/anticipated transient occupancy tax (TOT) for the first two quarters of 2007, but considering the low-snow winter, that was to be expected. They did report that their share of Mono County property tax haul was better than expected. Based on empirical evidence, they should expect the third quarter TOT to be lower than expected also. From other real estate fronts: the Summit condominiums adjacent to Eagle Base has commenced a massive remodeling of their project. This project has been many years in the making, incorporating the efforts of many including several designers. The special assessments to the individual owners are substantial but certainly seem worth it when considering the location of the project and its aging infrastructure. I can’t wait to see what the end product looks like. There might be some good buys in this project over the coming months. Especially since Mammoth Mountain is stating that the new base lodge at Eagle will start construction in summer of 2008. And the construction of the new Chair 9 (Cloud Nine Express) will be completed for this winter. Construction of Phase 7 at Snowcreek, also known as CreekHouse, has begun. Chadmar seems pretty in tune to the market––they are only developing a small number of buildings this year. After all, there are still about 25 new and resale units available in Phase 6––The Lodges. But the CreekHouse location has long been admired for it’s setting along Mammoth Creek and riparian corridor and the spectacular panoramic views from the knoll. Rumor is there is evidence that the native Americans had high regard for it too. Overall inventory seasonally peaks in the Labor Day time frame and it remains under the historic highs of the 80’s and 90’s. If we would remove the units from the Village and other newly built projects, the condo inventory would actually be fairly low. The fractional developments at 80/50 and Tallus are too ahead of their time––wait ten years before considering. The state of foreclosures in Mammoth remains relatively very quiet (compared to the majority of other real estate markets). There has been only a handful so far with two of them being the same owner who apparently ran a deliberate scam on the lenders. With lending standards tightening and values stagnant, the opportunity to re-finance is diminishing quickly. And how many loans are scheduled to re-adjust in the next 24 months? Again, we’ll see. But things on that front are looking positive for the market so far. And interest rates have settled back down, at least for now. Residential construction has clearly slowed down but there are still plenty of high-end custom homes being built. There are also a number of near-teardown remodels going on. My barometer says it is a good time, for the first time in many years, to be working with a local contractor on a custom build or major remodel. And the Town staff and local engineers are in position to process things quickly. Reports are that local material costs and wages are coming down too. On the government side, the new Fire Station on Main St. is completed and the new wing of Mammoth Hospital is open. The new library on Meridian is looking good and they’ve started construction of the ice rink behind it. The “Trolley” and other public transportation continue to expand and ridership is substantial and popular. The three-year project to rebuild Lake Mary Road from “the Bridge” to Horseshoe Lake has commenced. That will include a new, separate bike path. All of that shall be great. That’s enough for now. Happy August–truly one of the best months to be in Mammoth. Mammoth Real Estate Q & A President’s Weekend Dump and Pump?? 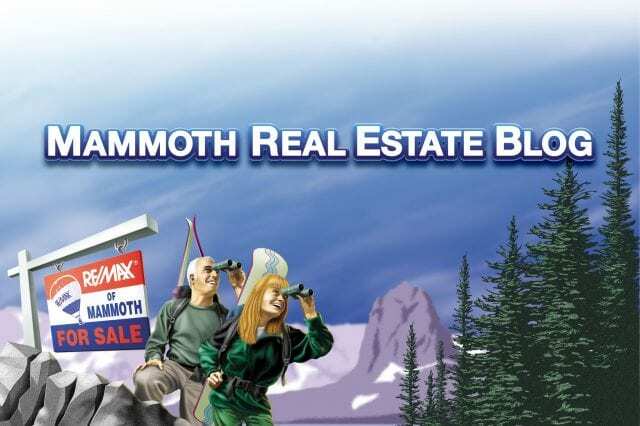 Mammoth Foreclosures 7.7––The (Potential) Buyers and Rolling The Dice! Can’t say enough about your blog Paul. Informative, entertaining and so candid. 1. I understand that the “potential” Ritz will be a residence Ritz, not a “for rent” hotel or condo hotel. That could change the economic model, if enough high end buyers are willing to drive to Mammoth for a Ritz property. 2. Even with a viable development costcost/sale price ratio, without an airport, can SoCal fill the Westin, a Ritz and a “1” hotel? 3. Like them or hate them, Intrawest presented a “Promise Vision”, delivered staged progress to support the promise and enjoyed historic low mortage rates. Starwood has presented no vision, shown no progress on exciting projrects, interest rates are up and is it reasonable for anyone to believe in the airport? Appears to be the perfect storm for cooling off period. Not all bad. I’d concentrate on the cash buyers! Lions, tigers and bears…oh my! Unfortunately, I’m beginning to think they just might really be lurking outside camp. The more the California real estate market unravels, the more it feels like a sled picking up speed as the rails accelerate down the greased skids of slowing sales, increasing inventory, rising foreclosures, tightening lending criteria and deteriorating consumer confidence. I don’t want to get carried away with fear….but…it was not that long ago when $500,000 purchased a decent home in the OC. What is the current median..$$750,000?? ?..Is a 30% retraction possible and if so how much damage will it do. I remember when I purchased my house it felt like I employed half the town for the next two years buying furniture, tvs, window coverings, new landscaping, appliances, blah, blah blah. I wonder if the “trikle-down” has yet to be felt…other than down my leg. The Ritz-Carlton Residences® is the name for their full ownership properties, as opposed to the Ritz-Carlton Club–their fractional ownership developments. The Ritz/Residences at Bachelor Gulch are mostly 2 bedroom “flats” much like those in Mammoth’s Village, but a little larger. The Ritz/Residences in Vail offers the same type of units and much larger, up to 6 bedrooms, multi-million dollar properties. These units are designed as “for rent” properties. But first, we’ll have to see if Staubach’s group intends to carry through with a Ritz project. As for #3, a cooling off period looks inevitable, but one or more of these developers just might have the lender and cash to take the risk. I think I will begin to look seriously when net rental income can carry about 80% of the unit price. I doubt the market will sink that low…but maybe. Paul, just looked at you agent list. Can’t really remember if it used to be larger, but it seems like it might have been. Any idea on the number of agents that are on break in Mammoth? My company is smaller today than it has been since about 1995. Not all left by their own choice. And some simply retired (we’re all getting older). My new mantra is “more real estate and less psychotherapy”. So I am enjoying the increased day-to-day real estate activity and less management (baby sitting). The number of active agents will decrease. But in 1981 there were 335 agents on the local Board. We didn’t get that high this time. Maybe the cost of a laptop kept them out!